Our staff is both friendly and highly experienced. 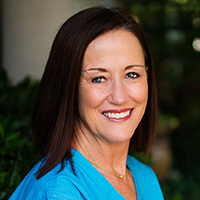 The Blum & Tinsley Dental staff is a group of dedicated, loyal, and professional women who are dedicated to continued dental education and have pursued advanced studies in their field. Together, they have provided their skills and knowledge with a combined service of 81 years! They are dedicated to serving your dental needs while educating patients and the community about the benefits of preventive dentistry. I have been a patient of Dr. Blum’s for 16 years. 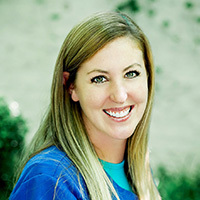 I joined the Blum & Tinsley Dental Clinic staff in October 2011, and brought years of customer service to the practice. I follow my moral compass by being kind to others. I have become the insurance expert of our team, by forming relationships with managers of several top dental insurance companies. I am the “go to” person in our office for your insurance questions. I have also attended several continuing education courses over the years to continue to expand my knowledge of dentistry. I am married and have two boys. I enjoy trips to my home state of Hawaii to visit family, and cooking. I have been with Dr. Blum’s office since 1995, starting as a dental assistant, then transitioning to the front desk. I have attended numerous continuing education seminars over the years. My personal favorite was the Misch Auxiliary Seminar in Pittsburg, Pennsylvania, where I learned techniques to assist Dr. Blum in the placement of dental implants. I have attended many of the Pride Systems workshops and team-building seminars as well. I love my relationships with my patients and co-workers. I also love the opportunity to work in a place that challenges me and gives me opportunities to improve my skills and grow as a person. At home, I have twin 14-year-old daughters who keep me very busy. They play volleyball, run cross country, and pole vault. I also enjoy running and am an avid reader. I joined the excellent staff of Dr. Blum and Dr. Tinsley Dental Clinic in 2017. My dentistry career began as a young girl working at my grandfather's dental office. I followed in the family career path and graduated from Texas Woman's University with a Bachelor of Science in Dental Hygiene. My journey took me from Texas to Norman in 2015 and I have fallen in love with this community. Using my dental knowledge and experience, I serve our patients as part of the front desk team. I enjoy creating positive and family-like relationships with our patients. When I am not at the office I love spending time with my daughter. I also enjoy reading, sewing and DIY crafts. I joined Dr. Blum’s team in 2014. 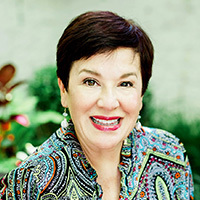 I brought certifications and experience in orthodontic assisting, implant placement, sedation, and radiation safety. I fill my days with a variety of tasks, from assisting during procedures to providing treatment education to lab work, which really makes each day interesting! No matter what I’m doing at the time, my main goal is to ensure that our patients are comfortable and confident in the care they’ve received. My husband Bryce and I have two daughters named Dylan and Blakely. I played soccer for the University of Oklahoma on a full scholarship for my bachelor’s in sociology and am still involved in playing indoor soccer and coaching my daughters’ teams. I love being involved with their school activities, in addition to reading, running, and attending Victory Family Church. I am a clinical assistant and have been with the office since 2008, after moving here from Ardmore. I received my college degree from East Central University and have been in dentistry since 2001. 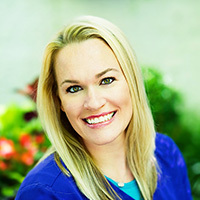 After moving from Shattuck to Ardmore in 2004, I continued to work in the dental field and expanded my knowledge by working in an office that did orthodontics. 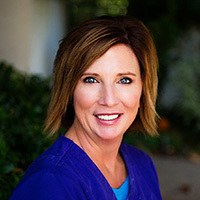 Since joining Blum & Tinsley Dental Clinic, I’ve taken advantage of every opportunity to establish relationships with our patients and help them gain confidence through their smile. I truly love working here; Dr. Blum and Dr. Tinsley treat every patient like family. We are a well-organized office that works great together to provide excellent dentistry to each and every patient. I have been married to my husband for 20 years. He is a school administrator with Noble Public Schools. We have three beautiful children: Landry, Macy, and Kaiser. As you can imagine, with three kids we stay every busy with their academic and sporting events. If it’s the weekend, you can usually find us at a soccer field or in a gym watching the kids do what they love. Our family is also very active in our church, First Baptist Church of Noble. More about Amanda is coming soon! More about Michelle is coming soon! 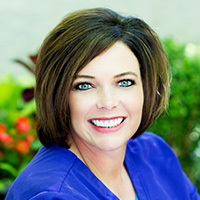 I am a registered dental hygienist and have been with Dr. Blum since 1995. I graduated from the University of Oklahoma College of Dentistry, where I served as class president and received numerous awards, including leadership and service award and outstanding senior award. I have attended many continuing education courses at the Pankey Institute, Pride Institute, and the Greater New York Dental Meeting, and received certificate of completion from the International Congress of Oral Implantologists. Dr. Blum’s high quality and expectations consistently challenge me to strive to be the best at what I do. Our emphasis on building positive relationships with our patients is the reason I love it here so much! I have been married for 18 years and have two daughters. I enjoy going to OU football games and spending time with my family. I began my career as a dental assistant in 2007. I graduated from the University of Oklahoma Health Sciences Center in 2011 with a Bachelor of Science in dental hygiene. I feel grateful to be a part of an incredible team and do my all to be the best I can be for them and for our patients. I have completed many continuing education courses over the years provided by my local and state dental hygiene associations, the Greater New York Dental International Meeting, Pride Institute, and Association of Dental Implant Auxiliaries. My career has allowed me to build wonderful relationships with my patients, and improve their health and lives along the way. My husband and I have been married since 2011, and we have two girls. I spend my time with family and enjoy watching the OU Sooners and OKC Thunder! Dentistry has been front and center for my entire life. My grandfather and father were both dentists, and my son, Dr. Michael Tinsley, is a dentist in this practice with Dr. Blum. My two older sisters are also dental hygienists! I have enjoyed 36 years of practicing dental hygiene and I am so excited to be working now with my son! My job entails cleaning a patient’s teeth; however, the main objective of my job is to identify, inform, and educate our patients in their dental and overall health. Personal relationships are key in my job so I can gain patients’ trust and help them succeed in maintaining health. I have been married 36 years to my husband Loyd, who works at Devon Energy. Our family includes our son Mike and his wife Lane, and our daughter Taylor. Our favorite family trip is getting to the mountains to ski. We enjoy golfing, OU sports, and Thunder basketball. We are also members of McFarlin United Methodist Church.